Books Plus is a registered charity based in the concourse of a very large teaching hospital. 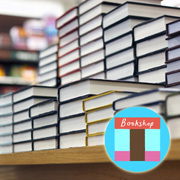 We are predominantly a Christian bookshop but we sell a variety of general interest books, stationery, fiction and bargain books, classical music and greeti ngs cards, also a Fair Trade section selling food and gifts. This shop is mainly staffed by volunteers.